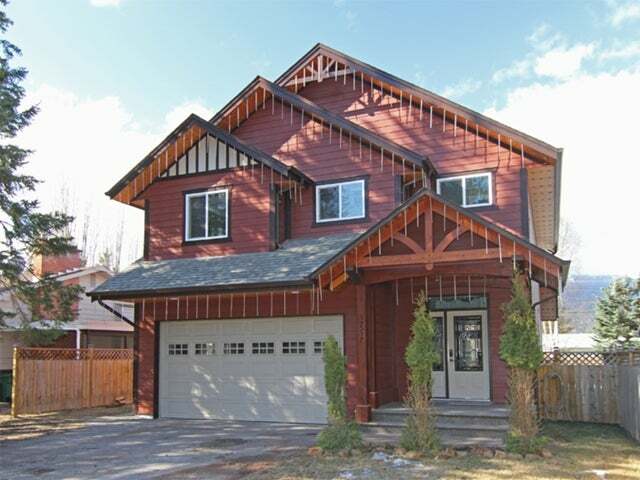 4 bedroom, 4 bathroom house, placed on the beautiful hill section location of 16th Ave. This house features a very practical layout with a spacious open-concept on the main level. All bedrooms are located upstairs, away from the primary liv ing spaces & large rec room in the basement. New high quality tile flooring was recently installed in the kitchen and entrance. The home has beautiful crown molding and drop-down pot lights provide a nice ambiance for the feature wall. The fully fenced backyard has a large 30 x12 deck, while the front of the property has a paved driveway, double garage and timber-framed porch. Structural home warranty until 2017! Floor Area 2,495 Sq. Ft.